Have you always dreamed of opening up your own bagel shop, but didn’t know how to get started? Beloved bagel shop, Shmagel’s Bagels has a bagel store for sale in Maryland. Right now we have two locations in Ocean City, MD and are looking to expand. We have plenty of franchising opportunities and will work closely with you to make sure your store is a success. 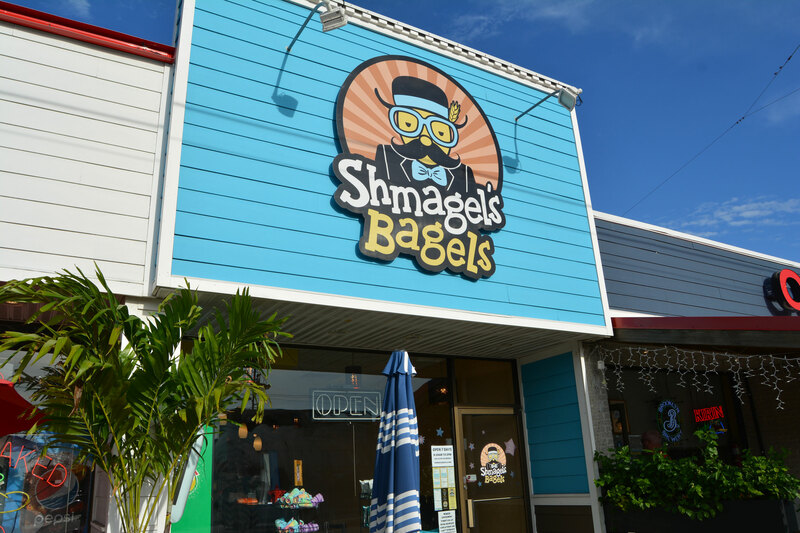 People come far and wide to enjoy Shmagel’s Bagels fresh bagel creations that are baked daily like our Bagelninis which are bagels flipped inside-out and pressed, creamy shmears and shmuffins. We also offer a variety of fun and delicious bagel flavors including Apple Cinnamon, Asiago, Blueberry Chocolate Chip, Cinnamon Raisin, Egg, Everything, French Toast, Garlic, Jalapeño, Marble Onion, Poppy, Plain, Pumpernickel Rainbow, Rye, Sesame, Spinach Sun-Dried Tomato, Very Berry Wheat Bran w/ Outs and Whole Wheat. Families also love our kids’ menu that makes ordering for the whole family so much easier. With our popular brand behind you, your store will have customers lining up right from the start. When you join the Shmagel’s Bagels family, we will give you the support and structure you need to get you bagel shop up and running. One of the great things about owning a bagel shop franchise like Shmagel’s Bagels is that you have the opportunity for a lot of creative revenue streams besides just the customers that walk through your door. You can also expand out into catering opportunities for parties, corporate functions, festivals and other types of events. You will be able to create a strong bagel business plan that will lead to success for you. When you join bagel franchise Shmagel’s Bagels, our cost of entry is so low you can purchase multiple locations if you want. Your dream of becoming your own business owner is a lot more accessible with a bagel shop franchise like ours. Besides a more affordable price, our menu is simple enough to be easily manageable by you and your staff, but still varied enough to please all your customers. At Shmagel’s Bagels, we are growing in leaps and bounds. Every year, more and more Americans are choosing bagels as not only their top breakfast food, but their favorite food all day long. Now is the perfect time to come join our family. For more information about our bagel store for sale in Maryland, call us or send us a message today.